Emotional Platings is a series of picnic kits from trees that heal specific emotions, identified in the Bach Flower Essence philosophy developed by Edward Bach in the 1940s. 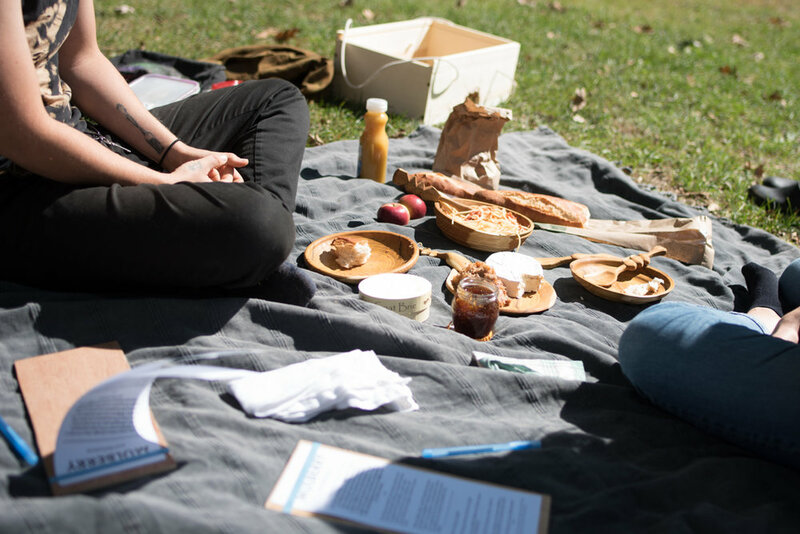 Each picnic kit includes a blanket, servingware crafted by the artist, a notecard with conversational prompts, and a notebook. The public will check out a specific kit in advance, asked to bring food to share, and then paired with a stranger based on the emotion they have selected. Having grown up in rural Minnesota, Hirsch hopes to explore the rural/urban divide by traveling to 5 rural towns throughout Minnesota, asking 160 people to check out a kit and explore emotion together. Emotional Intelligence is the ability to accurately identify an emotion and react appropriately through awareness. This may seem simple, however, emotions convolute our behavior making us react quickly without recognizing our motivations. Hirsch hopes to connect people through shared experience of human emotions.With the ordinary act of eating, she hopes that we can better understand our differences and expose our commonalities. Emotional Platings picnics will be available at the following towns at the subsequent date and time. 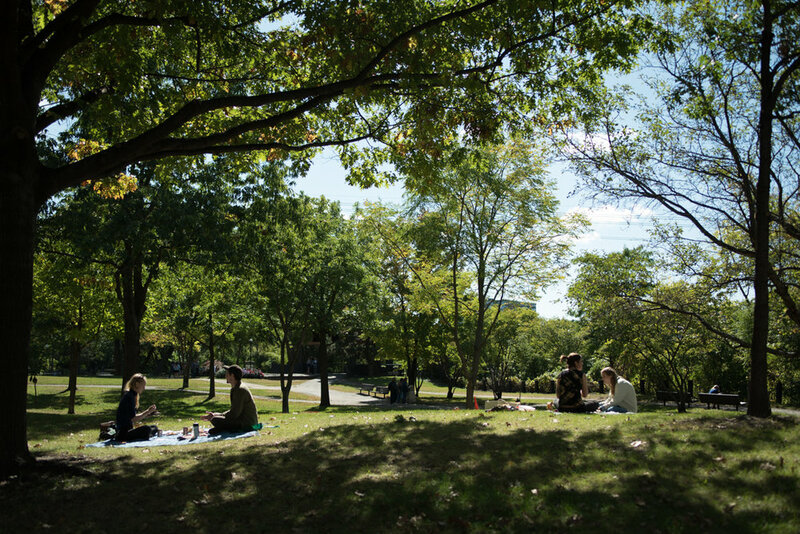 There are 32 slots open to participate in a picnic at a local public park in each location. Jess will be working with local liaisons on scheduling and announcing when slots are open, and how to sign up; these releases will be made through local media outlets, in addition to The Soap Factory website and Social Media event pages. Jess Hirsch is a conceptual artist investigating the healing world through installation and sculpture. She received her MFA from the University of Minnesota in 2013 and is the recipient of the Jerome Emerging Artist Fellowship, MN State Arts Board Grant, and the Jerome Emerging Artist Project Grant. Her art practice focuses on educating the public on alternative health practices through everyday experiences such as bathing, eating, and sleeping.